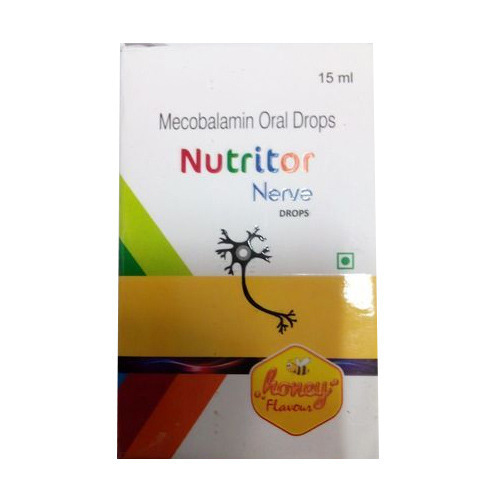 From the first day of our commencement, we render the best quality of Mecobalamin Oral Drops. Processed under hygienic conditions, these products are obtained from reliable sources. We, Maa Ambey Enterprises, established and started our business operations in the year 2005, are instrumental in Wholesaler, Trader and Exporter of Pharmaceutical Tablets, Pharmaceutical Capsule, Oral Drops, Pharmaceutical Sachet, Asthma Medicine, Anti Stomach Infection Syrups and Cough Syrups. For understanding and meeting the precise needs and demands of the patrons, we follow patron centric approach. Used in hospitals and nursing homes for treatment of different medical conditions, these Pharmaceutical Products are known for their high effectiveness, compositional accuracy and high purity. From procurement till the final dispatch at the buyers’ end, the Pharmaceutical Products undergo different quality assurance procedures. Pharmaceutical Products are delivered within promised and stipulated time frame, due to our logistic support professionals who make use of wide and well-connected distribution network.